Complete Dentures are also known as conventional, removable dentures that replace all your teeth. 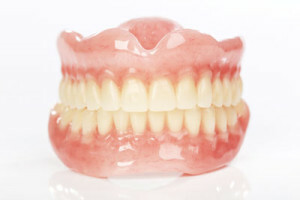 There are different kinds of dentures for you to consider. Immediate Dentures are inserted instantaneously after your extractions. These dentures act as a Band-Aid to help with the healing. Immediate dentures can be constructed to look like your natural teeth or can be made with any changes you request. These will help to promote even healing throughout your mouth. 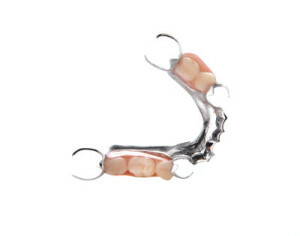 Standard Dentures are a basic product made with standard material. 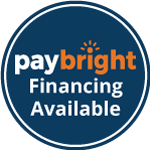 They are a lower price point with limited shapes and shades and do not last as long as other denture options. Complex Denture is a higher quality product that is also removable and replaces all your teeth. This is an elite denture that provides optimal function while eating and talking. They are made of the highest quality products available and will last at least five-to-seven years. To ensure maximum precision, complex dentures take a few more appointments than a standard denture. Regular dentures are supported by the gums and not by implants. Implant Retained Dentures are used when the patient does not have any teeth left, but has sufficient bone structure in the jaw left to support implants. 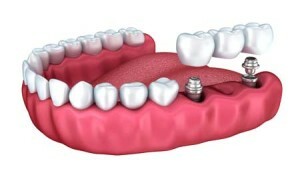 These implant supported dentures can be applied to the upper or lower jaw. While being one of the hardest dentures to implement, we have the latest and most advanced techniques to make sure you get proper suction on your lower denture. 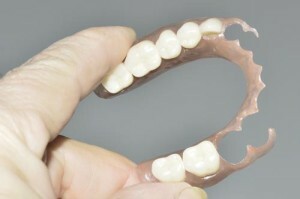 These dentures are used when there is not enough sufficient bone in the jaw to support implants. 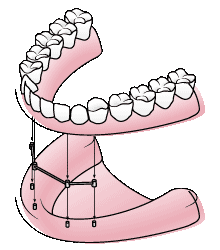 Cast Framework Partials are made to replace more than one natural tooth. They improve the ability to function so natural teeth don’t shift. Implant Supported Dental Bridges go in between two permanent teeth. If you have two teeth missing in a row and choose to get implants, we can make a bridge that screws into the implant for a secure and comfortable fit. We do full arches too. If all teeth are missing, your dentist can put in four implants, and we will create a denture around the implants. It’s like having natural teeth with no movement whatsoever. Acrylic Partials is a type of partial denture commonly used when someone is only replacing a couple of their natural teeth, and looking into having bridgework or an implant placed. Acrylic partials are a temporary solution and not built for function. We don’t recommend you wear an acrylic partial for more than a year. Don’t Want Clasps to Show? We Make Flexible Partials Too! A partial denture will help prevent your natural teeth from shifting or drifting into the remaining space after the loss of natural teeth. Is Your Denture Two Years or Older? Come in to See if a Realign is Right For You. Reline involves adding a new base material to the dentures to help with their fit and how your gums are shaped in current time. Since gums naturally shrink, a reline is important to maximize comfort and function. This process won’t change the appearance of the dentures. Repair can involve fixing a tooth that fell out or a crack in the denture. This service can usually be done in one to two hours. Tooth Whitening Kits come in to the centre and take advantage of our in house tooth-whitening machine. In less than two hours your teeth will become four shades whiter!